Product prices and availability are accurate as of 2019-04-19 00:37:48 CDT and are subject to change. Any price and availability information displayed on http://www.amazon.com/ at the time of purchase will apply to the purchase of this product. 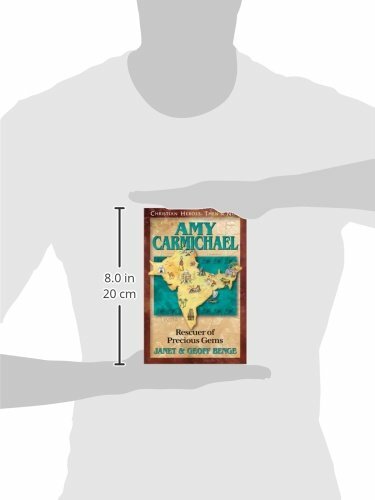 Amy Carmichael stood on the deck of the steamer, waving good-bye once again to her old friend Robert Wilson. How could she have known she would never see him or the British Isles again? Amy was certain God had called her to India. Indeed! India would be home for the rest of her life. Amy's life was marked by a simple, determined obedience to God, regardless of circumstances. Her story and legacy are stunning reminders of the impact of one person who will fear God and nothing else. 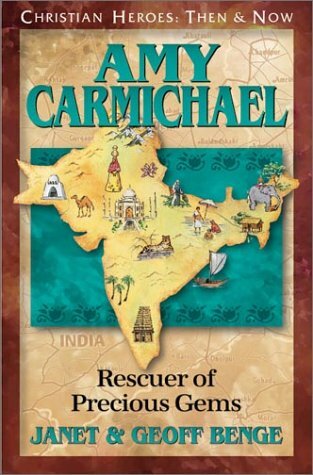 Driven by love and compassion, and sustained by faith and determination, Amy Carmichael defied the cruel barriers of India's caste system. The story of this young woman from Northern Ireland is a brilliant, sparkling example of God's love generously poured out to "the least of these among us."